An important step in the divorce process is reviewing and disclosing financial matters. In this step, both parties are typically required to prepare and sign their respective financial affidavits. In matrimonial matters, a financial affidavit represents a sworn written statement of a spouse’s assets, liabilities, income, and expenses. The information disclosed in a financial affidavit typically represents a snapshot of an individual’s finances at a point in time, or, with respect to the income and expenses, represents the financial activities over a relatively short time period. In this article, the author describes the benefits of conducting a lifestyle analysis in all marital dissolution cases. Consulting with a forensic accountant or forensic consultant is essential in every divorce matter, especially in cases where there are suspicions of possible fraudulent activity. In these cases, a forensic accountant can help to: (a) accurately determine all living expenses in determining support; (b) establish the true income of a spouse who is suspected of perpetrating fraud; and (c) determine any possible hidden assets, or dissipation of marital assets. To accomplish this objective, forensic accountants or consultants use an analytical tool referred to as a lifestyle analysis. Generally, the lifestyle analysis is the process of analyzing and calculating the income and expenses of the parties involved. The lifestyle analysis is used to establish the standard of living during a marriage and determine the day-to-day living expenses and spending habits of each spouse. 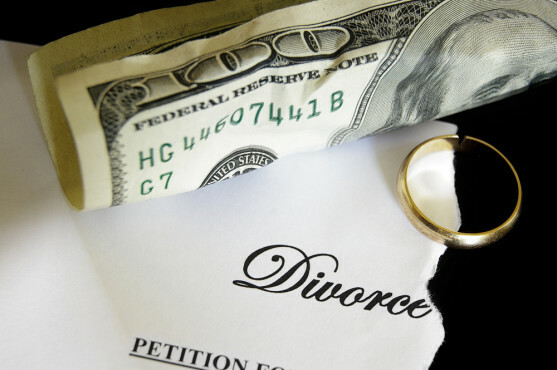 An important step in the divorce process is reviewing and disclosing financial matters. In this step, both parties are typically required to prepare and sign their respective financial affidavits. In matrimonial matters, a financial affidavit represents a sworn written statement of a spouse’s assets, liabilities, income, and expenses. The information disclosed in a financial affidavit typically represents a snapshot of an individual’s finances at a point in time, or, with respect to the income and expenses, represents the financial activities over a relatively short time period. Nevertheless, the family courts often initially use the financial affidavit to determine temporary support and, ultimately, to determine alimony, child support, and the division of assets between the parties, at the onset of a divorce. Financial affidavits are usually prepared by the parties and reviewed by the parties’ respective attorneys. The parties often estimate certain expenses because they do not take the time to fully examine their everyday expenditures. While attorneys may review a financial affidavit for the most obvious errors, omissions, and inconsistencies, they are not likely to review it with a fine-tooth comb. Unfortunately, such a casual review of this important document can have consequences, since any omissions or errors in the financial affidavit could have a significant impact on the financial outcome of a divorce. Unlike a financial affidavit, which, as we pointed out, tends to focus on a certain point in time, a lifestyle analysis may involve an examination of several years of financial activity. The analysis can help to prevent the understatement of expenses by identifying recurring, ordinary expenses, as well as non-recurring, unusual expenses that may be missed in preparing a financial affidavit. The results of a lifestyle analysis are much more reliable and credible for proving a spouse’s financial needs necessary to maintain a similar standard of living after divorce. A lifestyle analysis can be prepared for any time period, but is generally used for the last three to five years of a marriage. Typically, the longer the time period analyzed, the more credible the results, assuming there are no significant changes in income and spending from year to year. A lifestyle analysis generally includes the scrutiny of all of the household’s bank and credit card statements, checkbook registers, retirement accounts, personal and business tax returns, business and medical expense reimbursements, mortgage and loan statements, pay stubs, and spouses’ credit reports. In instances where a spouse was not responsible for managing the household finances during the marriage (or had little to no access to financial records), a forensic accountant or forensic consultant can help an attorney identify specific documents to request. While preparing a lifestyle analysis, the forensic accountant or forensic consultant may discover the dissipation of assets or hiding of assets by another spouse. The detailed analysis of the spending activity may reveal surprising expenditures unknown to the other spouse. The analysis could report an increase in spending which could have been used to support unknown extramarital relationships. The analysis could also report transfers or withdrawals of large sums of money which could have been used to fund a hidden account or purchase assets not listed on the financial affidavit. When the dissipation of assets is discovered, the court can take the finding into consideration when determining the division of assets and/or alimony. To illustrate an application of the lifestyle analysis, let us consider a situation where the lifestyle analysis identifies potential undisclosed sources of income. One step in an analysis might include comparing deposits and expenditures to known sources of funds. By demonstrating that the known marital income is well below the cost of the marital lifestyle, a lifestyle analysis may suggest that undisclosed sources of income may exist. Simply stated, the money had to come from somewhere. This analysis is not only used in family law cases, but it is also used by government agencies and in other criminal tax cases which involve income issues. It is also referred to as the “expenditures method,” signifying the analysis of a person’s spending patterns relative to the known sources of funds. There may be instances in which a spouse is seeking a high maintenance alimony award. A lifestyle analysis can be used to support such a request. By reporting several years of spending activity, the analysis can show that a spouse has not inflated expenses in order to maximize support. A forensic accountant can also provide testimony about the family’s historical household expenses to add credibility to the spouse’s claimed expenses, and to help counsel and the Court avoid potential pitfalls. This may also reduce the risk of a spouse being discredited on the witness stand while testifying about their complex lifestyle needs during cross examination. Many divorce attorneys and their clients may prefer cross-examination of the forensic accountant by opposing counsel, rather than the client. During a divorce, a spouse’s financial life will be closely scrutinized, dissected, and questioned by opposing counsel (and possibly the Court). Engaging a forensic accountant to prepare a lifestyle analysis can help discover possible hidden assets or unreported income and reduce the possibility of scrutiny. The ultimate goal of a divorce is to achieve an equitable distribution of assets between the parties. A lifestyle analysis will help provide the basis for credible arguments that can demonstrate the cost of supporting the lifestyle to which a party has been accustomed. Charles E. Strickland III, ASA, CFE is a Director in the New Haven office of Meyers, Harrison & Pia Valuation and Litigation Support, LLC. He specializes in forensic accounting and the location of unreported income and assets. Mr. Strickland can be reached at: cstrickland@mhpbv.com and (203) 789-1040.